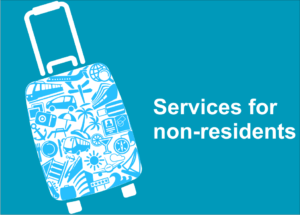 We have four key services for Non-Resident Indians (including PIO’s and OCI’s). Advising on the investments they already have done in India: At times people simply forget what they did with their money in India. Some other times they cannot manage it from a distance. Most of the times, they do not know whether to hold on to an investment or cash out. We manage all these issues for our clients. Handling all compliance issues. A detailed note is given below. Private Equity opportunities for NRI investors. Coordination on estate management: Many of our clients have properties in India and they are managed by some agents or they themselves. A lot of these properties do have financial implications. That is why, as advisors to our clients, we do coordinate management of all these properties. We ourselves are not in estate management, but we do protect the financial interests of our clients. NRI’s (non-resident Indians) and citizens of other countries can invest in India with varied levels of regulation. The governing laws are on either sides – in India as well as in the countries of residence. In some cases these laws are very tricky. That is why such investors require proper handholding for compliance issues. Otherwise the process of investment is very much the same for Indians and non-residents. If you are interested in investing in India as an individual, please do let us know. We can take you through all the compliance needs. If you still feel that you need handholding we would love to offer our services.